Thanks for wanting to get in touch with me! Before you send me a message, please take a quick look at my FAQ. For business enquiries, interviews and other opportunities, please email me at booksandquills@gmail.com. You can also request my media kit by sending me an email. 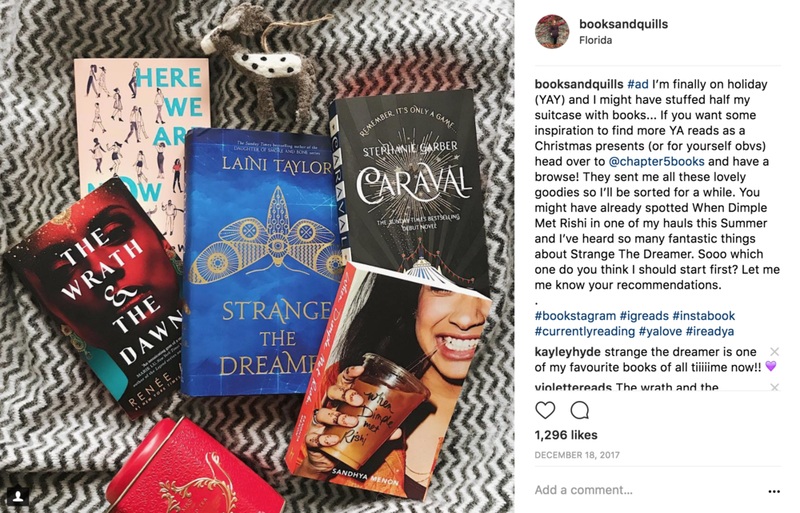 If you've got any other quick questions, sometimes Twitter or Instagram is the easiest way to reach me @booksandquills. 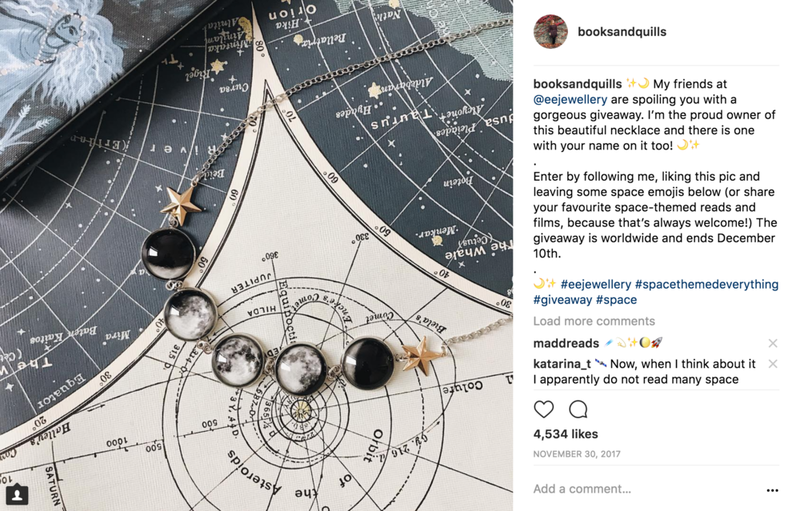 There are lots of different ways we can work together via my Booksandquills social channels and you can see a few examples below. If you have any other ideas, questions (or want to request my media kit), I'm always happy to start a conversation! Feel free to get in touch at booksandquills@gmail.com. I can feature a product or experience on YouTube, Instagram, Insta stories, Twitter or here on my blog. We can work together on a full video, a shoutout, giveaway or other ideas you might have. Press trips, film screenings or other entertainment or food related events can be featured on one of my social spaces. I can host interviews with authors or actors, panels or workshops about YouTube, online book content, creating a brand online and a variety of other topics. More info here. I’m also a freelance digital content producer and would love to work together on your social media strategy or next campaign launch. You can find a full list of my services here. Here are some of the examples of times that I've worked together with brands I love!